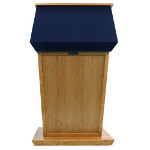 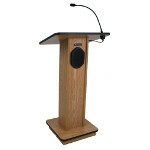 Wooden lecterns are great for all your important speaking functions, showcasing its genuine wood craftsmanship found in classic and contemporary styles. 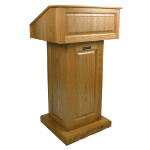 Wooden podiums have a variety of uses such as giving speeches and presentations, or as a focal point for meeting and greeting our guests. 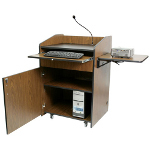 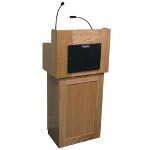 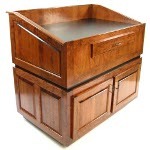 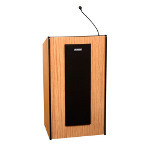 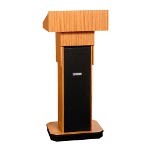 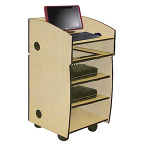 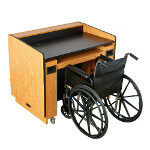 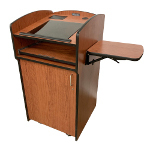 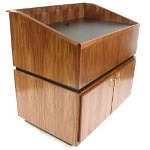 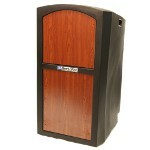 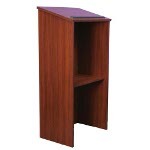 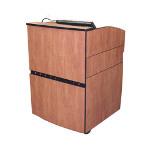 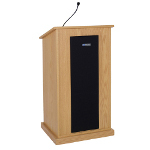 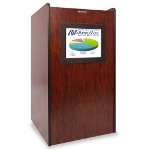 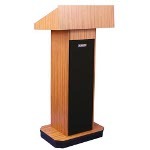 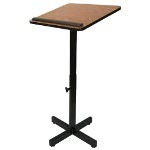 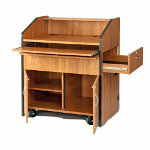 Many of our Wood Podiums feature heavy duty casters for easy portability, optional built in sound systems and come in a large variety of solid wood and veneer choices. 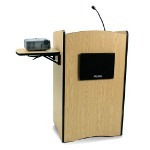 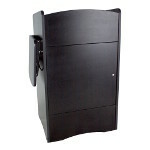 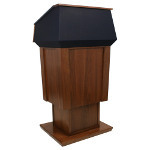 Wooden lecterns fit well in any décor, the podiums are made from the highest quality solid wood and wooden veneers.